Need something to do today at work? 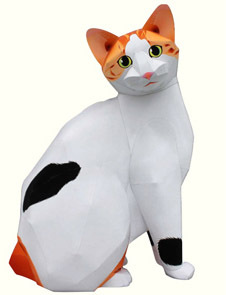 Make a paper Japanese Bobtail for your desk. Don’t worry, your boss will be too impressed with your cutting & gluing skills to lay you off. Canon has a nifty model of a Japanese Bobtail that you can print and instructions on how to construct it. Now, go dazzle your co-workers!